Dr. Polla Khanaqa is a full Professor in Kurdistan Institution for Strategic Studies and Scientific Research, scientist with experiences as a University lecturer and with management experiences, and competences in the field of higher education and scientific research. 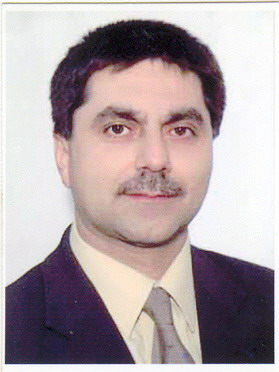 Prof. Dr. Polla Khanaqa was born in Kirkuk-Kurdistan, but left in 1979 to Germany. He pursued his education in Germany and he obtained a Ph.D. in the field of Geology at Georg-August University of Göttingen in in 1997. Five years after completing his PhD, Professor Khanaqa obtained his post doctorate at the same University. Then, Professor Khanaqa established Kurdistan Technology and Research Centres with the support of the KRG’s Prime Minister Omar Fatah, and Dr Akhtar Najmaddin, the Ministry of Higher Education and Scientific Research, in Kurdistan Region of Iraq in 2005. After that, he established Kurdistan Institution for Strategic Studies Scientific Research as the first research institution in Kurdistan Region in 2005.He is currently the head of Kurdistan Institution as well as University lecturer.